Iceland continues to break tourism records. 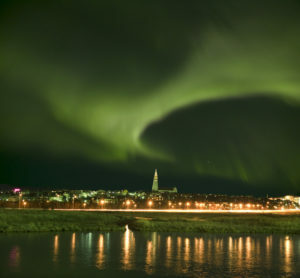 Given the recent stopover promotions offered by carriers like WOW Airlines and the increase in cruises, Reykjavík, the hub for most of the activity, has seen the greatest impact. During summer months, expect hotels at full capacity, tours sold out and crowds. So, careful planning for your Reykjavík stopover, will make a big difference in your overall Iceland experience. My recent Iceland Pro Cruise allowed me time to explore the capital city for several days as part of a pre/post cruise extension.So I am happy to share some insights and travel tips. First off, the Fly Bus is an affordable and convenient airport connection. The fare averages $26 USD one way. Travel time is about 40-45 minutes. Fast Fact: Many tourists opt to buy a combo ticket which includes transfer to the famous Blue Lagoon before they head into the city. 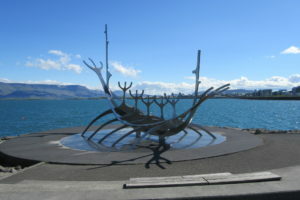 Several coach companies, Iceland Excursions, Reykjavík Excursions and Gray Line, offer the bundled excursion. Gray Line Iceland’s basic tour package with transfer averages $80-100 USD depending on exchange rate and time of day. This tip will save you travel time and extra transportation costs. Be forewarned, this touristy favorite can require patience. Year round you will find long lines. Admission must be booked in advance. 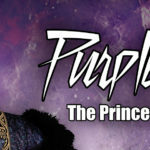 If lucky, you will get a reservation which provides access at an assigned date and time. Blue Lagoon standard entrance fees start around $60 USD and go as high as $530 USD depending on the package. The luxe package includes a private changing room and entry into an exclusive lounge with direct entry to the lagoon. Given the Blue Lagoon’s proximity to the airport, it makes sense to book the experience with airport transfers. Reykjavík Excursions which partners with Fly Bus offer a variety of day tours that can be booked online or directly at the airport. 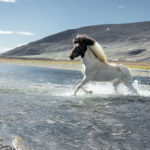 A top pick: The Golden Circle Tour with visits to the Gullfoss Waterfall, the Geysir Geothermal Area and Pingvellir National Park. Once on the Fly Bus, you will connect to a central bus terminal where you may or may not switch buses depending on your final ticketed destination. From there, you will be transported to a designated city center stop. 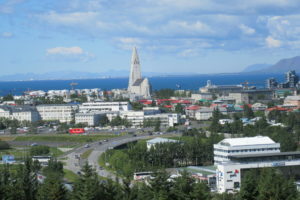 Due to restrictions and Reykjavík’s narrow streets, the buses cannot drop off directly at hotel. So expect to do a bit of walking with your luggage. The KEA Hotel Group dominates the central downtown area with several hotel properties. My stop was was very near to KEA’s popular Skuggi Hotel (Stop 10 on the Fly Bus). The location is ideal. The hotel is easy walking distance to Reykjavík’s main shopping and dining street, Laugavegur, and the waterfront promenade. Laugavegur may be a touristy hot spot now, but in the past it was simply a muddy street used by hardworking women toting laundry to a nearby thermal pool. Hence the name: Lauga & Vegur = pool & road. Upon arrival, I took a break to enjoy an early morning coffee with a friend and fellow journalist in the hotel lounge area. The hotel’s décor was modern exuding a comfortable urban vibe. I snuggled in an oversized chair and chatted away happy to escape the summer rainstorm outside. Sadly, I had to leave my KEA cocoon of comfort for my chosen accommodation, a private room in an Airbnb across the street, a far cry from my preferred 3 to 5 star properties. A small single room at the Skuggi was averaging nearly $300 USD a night; overpriced and well beyond my budget. But then again, with the current exchange rate…EVERYTHING is overpriced in Iceland. During my short stay, I ventured into the local supermarket, which I always do, for a reality check. The local favorite, Bonus Supermarket, was easy to find. Just look for the cute pink piggy on a bright yellow sign on Laugavegur. Almost everything is imported in Iceland, so consumers pay dearly. The exchange rate only compounds the problem for visitors. A small yogurt averaged $2-$3 USD and an apple was nearly the same. I also checked out a few casual dining spots for menu pricing. A bowl of noodles at a small café was $20 USD. For a nice seafood dinner with a glass of wine, expect to pay $50 USD or more per person. Only the Happy Hour drink specials in tourist spots helped to ease a bit of the pain. What I loved most about the city was the ability to explore on foot. Reykjavík is a pedestrian friendly city. I spend way too much time in my car when at home, so a leisurely stroll was a joy. Free maps are readily available everywhere to help you find your way. If walking is not an option, check out the city tourist card which includes unlimited travel by bus within the city limits. The Reykjavík City Card, with pricing starting at $35 USD, is the most cost-effective way to experience the city. 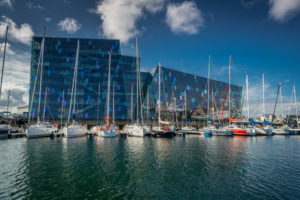 The card, available for 24, 48 or 72 hours, provides access to a large selection of museums, galleries and the thermal swimming pools in Reykjavík. Other card perks include discounts on select tours, discounts in shops and restaurants and even a ferry ride trip to Viðey Island, home to Yoko Ono’s Imagine Peace Tower. I recommend picking up the card at the Tourist Information Centre located in Reykjavik’s City Hall. The building is located in the heart of the city on lovely Lake Tjörnin which is always bustling with birdlife – swans, geese and arctic terns. During the winter months, the little lake transforms into a skating rink. Take time to stroll the surrounding area to see some of the city’s most striking architecture, beautiful homes from the turn of the century. The creative use of colorful aluminum siding is amazing. The tourist office is open every day of the year. Here you will find additional maps, regional guide books and tour booking assistance. The Settlement Exhibition: Excavations have uncovered the first permanent settlement of Iceland dating back to the 10th Century; visitors get a glimpse into Iceland’s history and culture by exploring the ruins of an ancient Viking longhouse. Admission is included with the city tourist card. 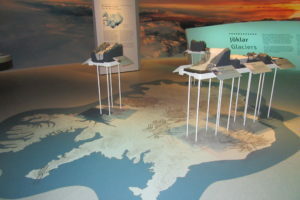 The National Museum: The museum’s permanent exhibition provides a historical account of the making of the nation with a timeline account of events providing a better understanding of Iceland’s evolution. Reykjavík Maritime Museum: Housed in a former fish factory. A wonderful opportunity to learn more about Iceland’s fishing industry and its impact on the economy. Visitors can also tour a former coast guard vessel docked at the pier. Be sure to watch the film short that showcases the life of an Icelandic fisherman. The film is a powerful testament to the strength of the Icelandic people who relied on the sea for sustenance and survived despite the harsh conditions. Reykjavík Museum of Photography: The museum features over 5 million photographs, professional and amateur, from the period 1870 to 2002. 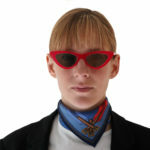 You can spend an entire day viewing the collections (most archived on museum computers) which are a mix of historical and contemporary photos ranging from family portraits to landscapes. Free Admission. Harpa: A revered city landmark considered Reykjavík’s cultural and social center, located on the waterfront with stunning views of the mountains and the ocean. Harpa, Iceland’s premier full service conference center, also houses a performing arts/concert hall, two restaurants and several boutique designer shops. Harpa’s unique architectural design alone has made it a national treasure. Volcano House: The small museum near the Harbor features documentaries on Iceland’s biggest eruptions in 1973 and 2010. The featured mineral exhibition provides a geological overview of Iceland’s volcanic systems and showcases actual lava rock and ash. 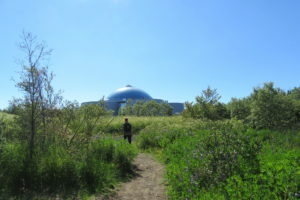 Perlan Museum of Icelandic Natural Wonders: This is a new attraction and a must see. The museum, located on top of a hill, was built within the city’s original hot water tanks and features an amazing 360 degree observation tower. The museum offers a unique interactive experience. Explore the wonders and history of Iceland’s many glaciers and step into a real man-made Ice Cave. Perlan’s expansion plans include a world class planetarium by Summer 2018. Old Harbour: The perfect place for a scenic leisurely walk and an electric bike or segway tour. The Old Harbour is the best place to check out marine life; it is home to the city’s best whale watching and puffin tours. The main whale watching season runs from April to October; winter whale watching tours are scheduled from November throughout March. Puffin season starts in mid-May and lasts until mid-August. Hallgrímskirkja Church: This city landmark is hard to miss. The church is best known for its huge 25 ton pipe organ and tower views. Note: fee for tower access. 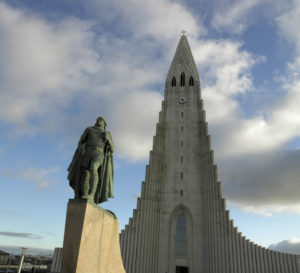 Don’t miss the statue of Leifur Eiríksson, recognized as the first European to discover America. The statue with the church backdrop makes for a fabulous photo opportunity. If you want to catch the Northern Lights or Aurora Borealis best to plan your trip from October to March. Pack your sleep mask for summer travel to Iceland. The Midnight Sun phenomenon extends daylight nearly 24 hours. The daylight in Iceland is a constant from mid-May to mid-August with the sun only setting for around 3 hours per day. In midwinter, there is less than 6 hours of daylight. Iceland is located in the North Atlantic Ocean just south of the Arctic Circle. A direct flight from New York to Iceland takes approximately 5 hours. Icelandic weather is unpredictable, you never know what is going to happen next. A beautiful day can suddenly turn windy and rainy. Summer temps average 44-60 °F.